In 1999, interested in materials and anti-industrial gestures, I visited Richard Salmon Gallery in London to see the exhibition ‘Furniture’: I was convinced that artists invariably tell us more than designers do about the everyday things of the world. The show was, indeed, full of beguilingly ambiguous work that hovered between function and sculpture. 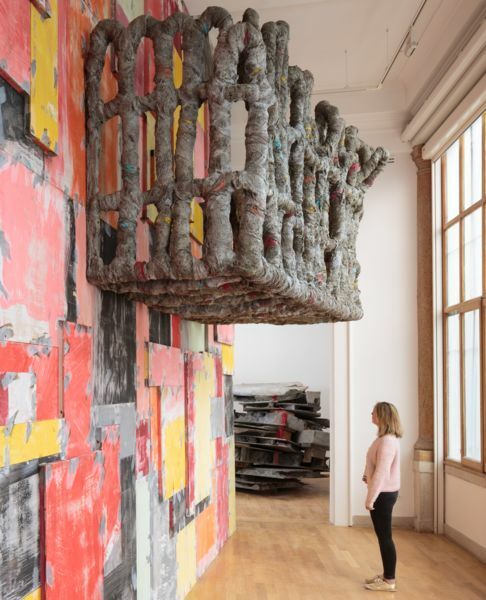 But one piece stood out: Phyllida Barlow’s ‘Object for a Piano’ (1999). In a room of careful making, placing and decision-taking by artists as diverse as Richard Wentworth and Alison Wilding, Barlow’s work was improvisatory, to a degree: a piano became a pedestal for a blanket daubed with yellow paint and an elongated crown of brown paper animated by two holes resembling minatory eyes. A sphere covered in shiny red tape stuck out on the right. The effect was funny, sinister and distinctly temporary: it was all apparently held in place by an elasticated hook-and-loop bungee in what the furniture maker David Pye would have called ‘a lash-up’. Pye (one of the great writers on the conundrums of the designed world) believed that ‘we live like castaways.’ Nonetheless, he argued that, despite our inept and provisional existence, in which nothing we design or make ever really works: ‘We can be debonair and make the best of it.’ That debonair quality – through which, as Robinson Crusoe found, recalibrated things can take center stage – has consistently characterized Barlow’s work. 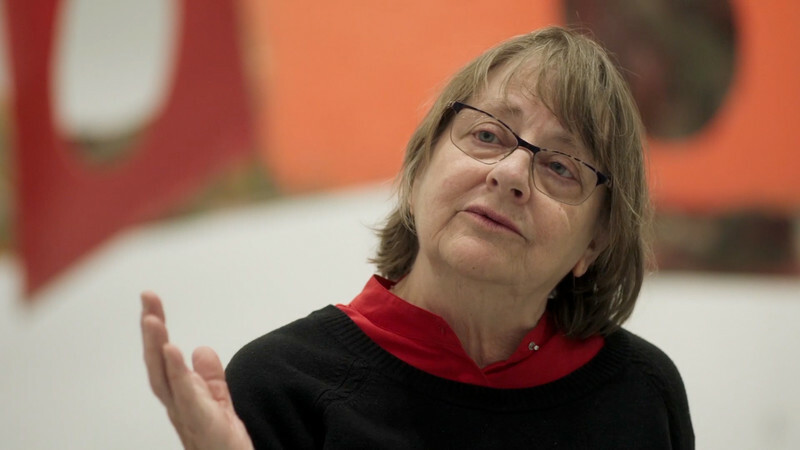 Barlow’s career began in the late 1960s, a period documented by Lucy Lippard in her study ‘Six Years: The Dematerialization of the Art Object from 1966 to 1972’ (1973). The book’s grainy illustrations are a primer for understanding Barlow’s early sculpture. From the 1970s to the 1990s, she did not expect to sell: her income came from her inspired teaching at London’s Slade School of Fine Art. Several decades of activity survive only in photographs and in a remarkable archive of drawings. Some of the artist’s most powerful graphic work was made in 2001: around 60 large acrylics on paper were exercises in rhopography, studies of the everyday things – detritus, really – that she glimpsed walking in the streets or past the railway yard near her home. 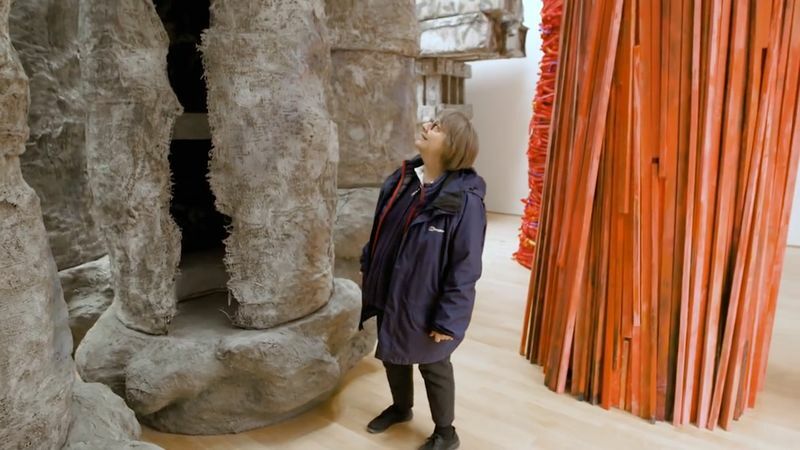 The paintings were done from memory, detail and cityscape combined, and have only relatively recently been exhibited: in 2012 (at the Henry Moore Institute in Leeds) and in 2014 (at Hauser & Wirth, London). Yet, although the works on paper survive, Barlow initially did not aim for permanence in her sculpture. There is a paradox here. The artist has always seen herself as a sculptor, testing out problems specific to that genre. Almost from the start, however, she chose, and still chooses, to manipulate an array of low-cost, light-industrial materials: in effect, the contents of a builder’s skip. Bubblewrap, tape, netting, scrim, polystyrene, timber, cement, bonding plaster (the list is apparently infinite) are detached from their usual functions. Such materials are hardly impermanent – as the vast garbage patch drawn into the North Pacific Subtropical Gyre makes clear – but as sculptural media they are fragile. The steel armatures required for the massive scale of her newer pieces are a recent development. The overall aim has been to work quickly and provisionally, in order to make non-representational, self-reliant installations that animate their environments. In the past, smaller works have been placed on unexpected plinths (for Barlow, the plinth has never quite left sculpture) – a street grit bin, a lamppost, an ironing board, a piano or, destructively, the bottom of the Thames. There is nothing narrative or confessional about Barlow’s art but, for her, the question of where art goes remains an abiding fascination. Her desire to continually test sculpture is evidenced by her naming of individual works which, although seemingly untitled, have labels for us to try out – as in untitled: brokencolumn (2010) or untitled: postgridspallets (2015). As for making, Richard Serra’s hypnotic verb lexicon from 1967–68, ‘to roll to bend to crumple to split to remove to open to spill to lift,’ is a guide. Barlow has never liked the careful craftedness of British sculpture and, from the start, she looked abroad – not only to Serra but to arte povera and to Robert Smithson’s ‘Asphalt Rundown’ (1969). At home, there was Barry Flanagan before he turned to bronze and Carl Plackman and Martin Naylor’s oblique narrative installations. All three used everyday objects and materials. In those early years, the late George Fullard – Barlow’s tutor at Chelsea School of Art, where she studied from 1960 to 1963 – was a fount of wisdom, telling her inter alia that fluent drawing came when you were tired, and passing on French sculptor Germaine Richier’s advice that you should be careful of clay because it was almost too responsive. 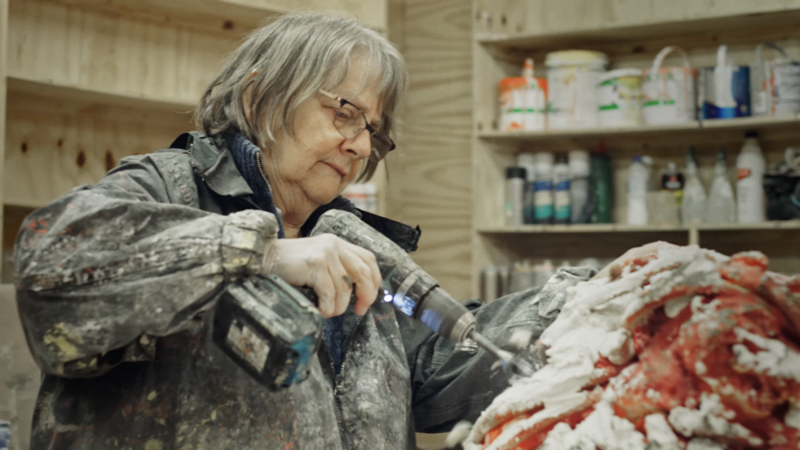 This year, Barlow has been chosen to represent Britain at the Venice Biennale and, when I visited her at her vast, aircraft hangar workspace in Hornsey, north London, the work was progressing at full speed. Against the din of bandsaws, hammers and welding gear, Barlow told me that Fullard was very much on her mind. He bore shrapnel wounds from World War II that probably shortened his life and she recalls him telling her about soldiers suffering from phantom limb pain, which he equated with the experience of sculpture: it’s as real as it can be, but also elusive, residing in the imagination. Barlow was reflecting on the particular nature of the British Pavilion in Venice, with its jewel-box neoclassicalism and its faintly laughable formality. Its aura is something she hopes to investigate. 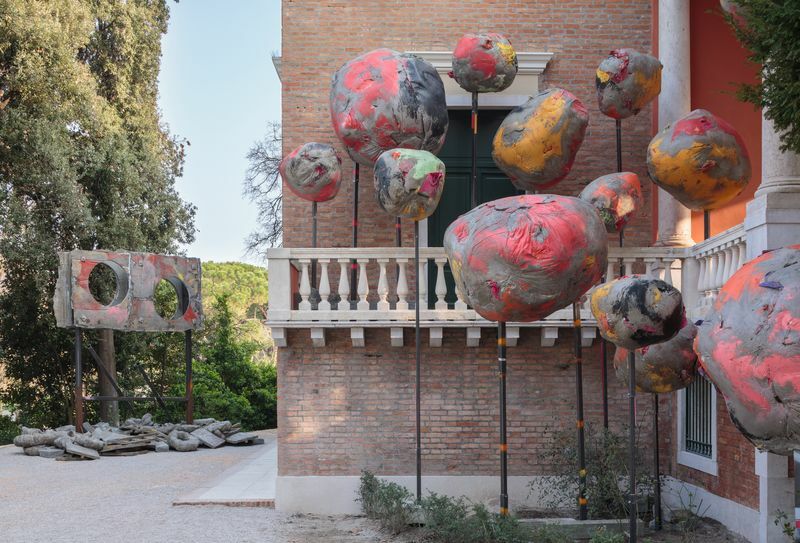 Her decision to name her biennale installation ‘folly’ might be a clue to her present thoughts on nationhood. The discrete parts of the work were being boxed-up for transport as we spoke, but she showed me the distinctive painted drawings she made to guide her team, recording a syntax both familiar and strange: a box on sticks, an anvil, fallen and standing columns, a hoarding, a ‘holder’ and ‘baubles’. 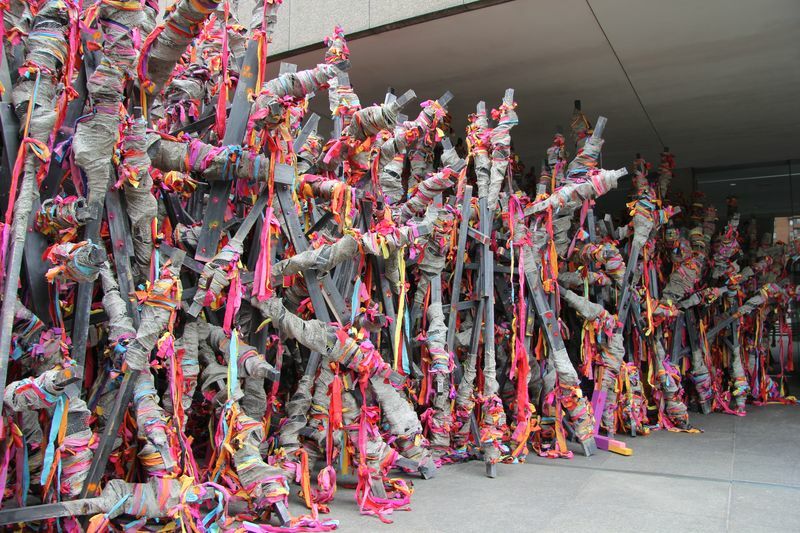 Since 2010, Barlow has worked with assistants and, as a result, her work has increased in scale. Small works are invariably bought immediately and large-scale installations, or parts of them, are now preserved, as opposed to being dismantled once an exhibition is over. She now has the support of Hauser & Wirth and her story – a move from collegiate respect to global recognition – has a fabulous quality of the kind analyzed in Ernst Kris and Otto Kurz’s classic study ‘Legend, Myth and Magic in the Image of the Artist (1934).’ Success is, of course, pleasant and there is a joyfulness to Barlow’s work of the last decade – a use of painterly color and an unbounded confidence in inhabiting the remarkable international spaces in which she has exhibited. These include, for instance, the grisaille beauties of untitled: structure at Kunstverein Nurnberg in 2011, TIP at the Carnegie International in Pittsburgh in 2013, where part of the installation appeared to run out of the gallery, and the grand painterly gaiety of set at Edinburgh’s Fruitmarket Gallery in 2015. Barlow’s sheer learnedness is increasingly visible and seemingly moves across all periods of art history. Renaissance paragone debates come to mind, in which the relative merits of different art forms were discussed – in particular, the relationship between painting and sculpture. 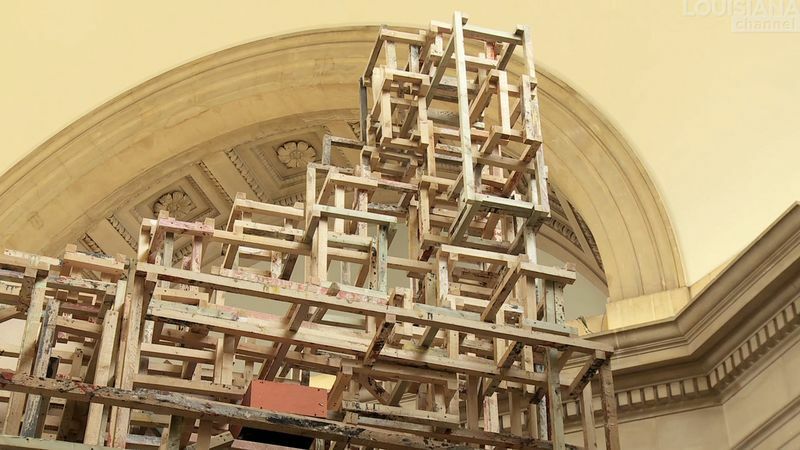 There is a baroque confidence about building upwards towards the rafters, most notably in the towering passages of dock, which was installed in the Duveen Galleries at Tate Britain in 2014. There is also a mannerist playfulness to Barlow’s work, an intensification of the debonair quality that startled me in 1999. Words such as sprezzatura – a spirited effortlessness – employed in Renaissance author Baldassare Castiglione’s guide to living, ‘Il Cortegiano (The Book of the Courtier, 1528)’, come to mind. The term was a positive marker in a late sixteenth century world where difficultà – adversity – was ideally overcome with nonchalant virtuosity. Using quotidian stuff, Barlow makes us see the world afresh, causing us to reflect on materials, their weight and heft, and on the expressive possibilities of theatrics and fakery. She brings us back to the genre of Renaissance architecture intended for pageants and processions, destined to be impermanent: a world of objects on the move. For example, ‘Sculptural Acts’ was created in 2011 for the Haus der Kunst in Munich and comprised an elevated sea of pink-red broken plasterboard that appeared to march energetically from room to room. It was the kind of work that the anthropologist Alfred Gell described as possessing ‘the power that technical processes have of casting a spell over us so that we see the real world in enchanted form.’ Barlow has read Gell and feels at home with his ‘enchantment of technology.’ Equally, she is conscious of the tension between artistic and industrial or productive labour, making the point most recently with the installation demo at her 2016–17 Kunsthalle Zurich show, where her work was combined with the actual demolition and construction being carried out in the building, which could be watched from a viewing platform that the artist constructed. On the eve of her 2010 Serpentine Gallery exhibition alongside the artist Nairy Baghramian (which marked a turning point in her career), Barlow was asked by the co-curator, Hans Ulrich Obrist, to describe her dream project. One of his favourite questions, it was met with a surprising response. Barlow expressed a desire to make work for a remote place ‘where I am the only audience for the work, and its future uncertain.’ This Crusoe-like integrity is at odds with the dazzling scale and reach of her sculptures of the past decade, which visitors can move in, around, through and under. The dream of making for a non-existent audience has faded, surely unmourned. Her art may have become more expensive but it is now also more public. Barlow’s strength originally resided in remaining true to a less familiar world, arguably a world we have lost, in which artists largely made for each other, in which art was awkward to consume, hard to record and intended for an undisclosed site – neither the gallery nor the museum nor, even, the endorsement of the Venice Biennale crowds. Such values still brace her approach, but, in Venice her work will spill generously out of the building. Its overall mood cannot be predicted: folly will only be known in its plenitude once it is installed.